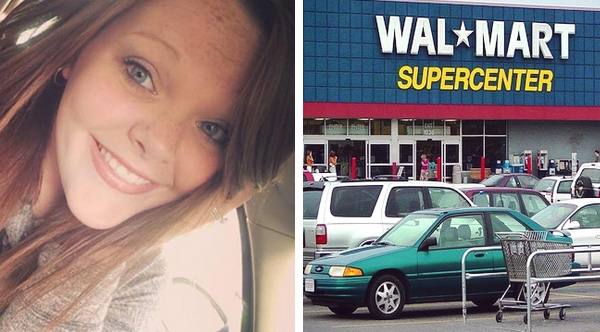 “I walked out of Walmart today and got in my car. As I began to pull out, I had to wait for a man in a wheelchair to pass by. As I watched him, I noticed that he was missing his right leg from the knee down and was wearing, what appeared to be, old, government issued, combat boots. He was (from my guess) in his late sixties/early seventies and seemed to be stopping to take a break. He had not realized that I had started my car and was attempting to pull out, so when he saw me, he waved in an apologetic manner and rolled forward three more times and took another break. I backed up my car the inches I had previously pulled forward, put it in park, turned off the engine, and got out. I walked up to him and introduced myself. I asked him if I could assist him with his shopping today, and he, quite grumpily, said that he was doing just fine and was not getting much anyways. Me, being as stubborn as I am, insisted and proceeded to push him and tell him a little about myself. He interrupted me and said that he only needed help to the door, to which I picked up where I had left off before he interrupted me. I told him about Fayetteville, and my horses, and my nephews (I had parked a good ways away from the doors). And when I reached the doors, I continued to push him and talk. We reached the produce area and I asked him to tell me about himself. He reluctantly looked at me and began telling me that he lived in Sod – Lincoln County, and that he just recently lost his wife. I asked him if he was a veteran, to which he replied that he was – but with pain on his face, so I changed the subject and asked if he had made a shopping list. He handed me a list with only four things on it: peanut butter, soup, bread, and bananas. So we began shopping and I continued to talk… hard to believe – I know. Once we had gotten the items he needed, I asked if he needed the essentials: milk, eggs, butter. He told me that he might not make it home, without them going bad. So I questioned how he got to the store. He told me that he did what he was doing in the parking lot until he got to 119 and then hitch hiked with a trucker to the parking lot. So I called a taxi for him and grabbed the essentials plus a few other things and put them in the cart. After placing a gallon of milk in his cart he was crying. People were passing by us, looking sideways at him. I knelt down and asked him what was wrong and he replied, that I “was doing far too much for an old man that I barely knew.” I told him that where I am from, and from the family I was raised in, we help one another, no matter the task and that I had never met a stranger. I also told him that he deserved everything I was doing for him because he fought for my freedom and sacrificed so much. We made it to the check out line and I paid for his groceries, against his request. I returned to my car, and could not help but cry. This is the world we live in today. How many people passed him and would have continued to pass him while he struggled? How many people are willing to give their money to Vanity Fair to read all about Bruce Jenner and not help a veteran pay for his groceries? Today was a truly humbling experience for me, and I consider myself extremely blessed to have the capability of understanding what is truly important in this world.